Companies accepting credit/debit card payments and storing, processing, and transmitting cardholder data are required to maintain and demonstrate a secure environment to meet Payment Card Industry (PCI) security standards. The Steadfast Sentinel PCI DSS bundle includes all the security tools necessary to operate, document, and demonstrate cardholder data environment (CDE) protection, vulnerability management, access control measures, and information security to demonstrate PCI DSS compliance in on-premise and cloud environments. The Steadfast Sentinel PCI DSS bundle eases major challenges caused by PCI DSS compliance. The Steadfast Sentinel PCI DSS bundle helps you achieve compliance faster and ensures continuous security and compliance monitoring year-round. Asset Discovery and Inventory - Discover and inventory all critical on-premise and cloud assets. Vulnerability Assessment - Execute internal scans of security systems and processes to detect any vulnerabilities, in compliance with the PCI Requirement 11. Intrusion Detection - Monitor traffic at the perimeter of your CDE and at critical points within the CDE for network intrusion detection (NIDS), host intrusion detection (HIDS), and cloud intrusion detection. File Integrity Monitoring (FIM) - Receive alerts as changes occur in critical files, configuration files, and content files, in compliance with PCI DSS requirements 10.5.5 and 11.5. SIEM Event Correlation - Capture all user activity on critical systems, as well as collection and correlation of valid and invalid authentication attempts, to document access of your CDE. 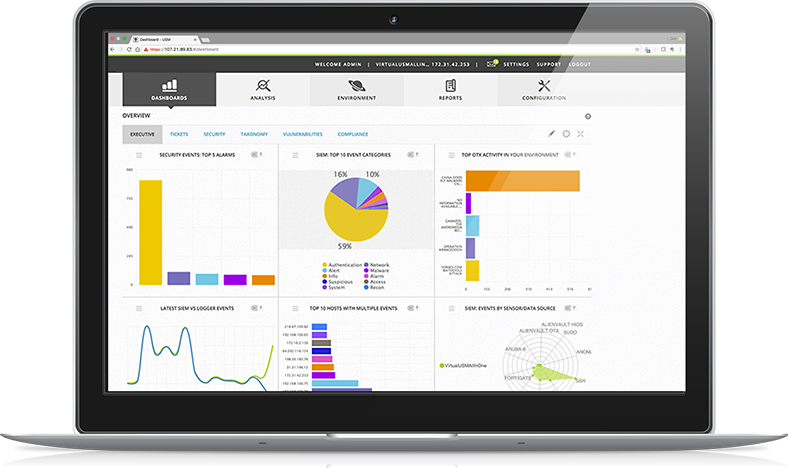 Log Management & Monitoring - Collect and analyze log data from PCI systems and receive alerts of any threats facing your environment, in compliance of PCI DSS requirement 10. Incident Response Planning - Get 24/7 notifications to stay informed of your security posture, enabling rapid response and mitigating the potential damage of a breach, in compliance with PCI DSS requirement 12.